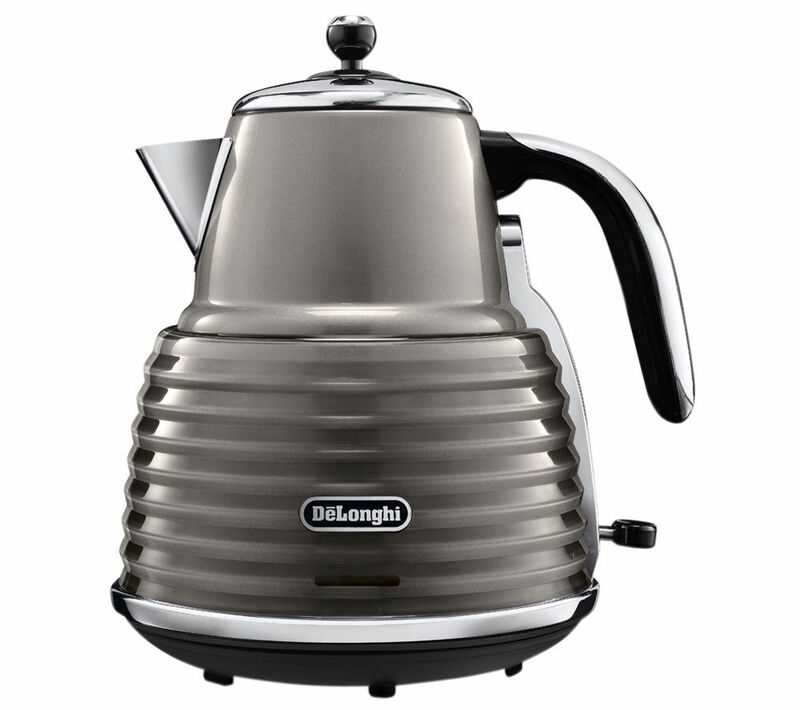 Enjoy your favourite hot drinks quickly and in style with the champagne coloured De'Longhi Scultura KBZ3001 BK Jug Kettle. 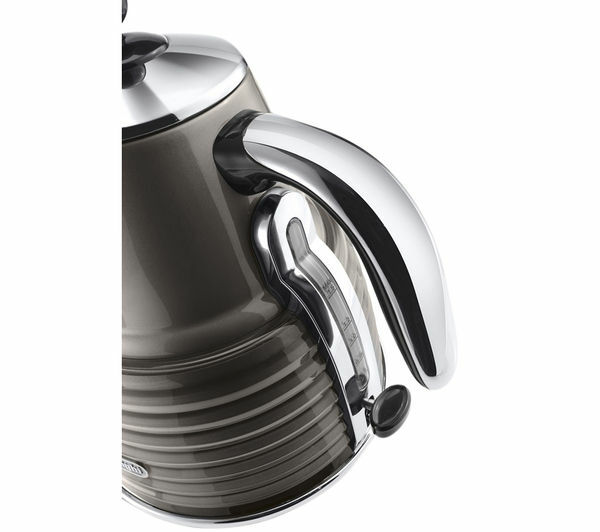 Simple to fill thanks to an easy-fill spout, this cordless kettle boasts a water-level indicator, a 360 degree pivotable base and hosts a concealed element. 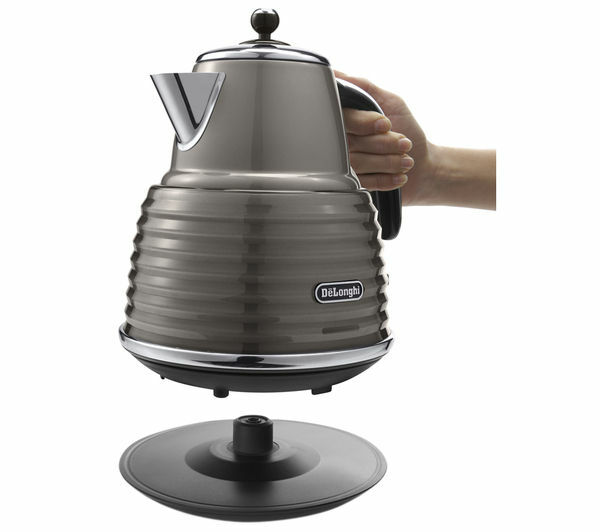 Rated at 3000W, the electric kettle has a rapid boil design that makes it a quick and simple to get hot water on demand. 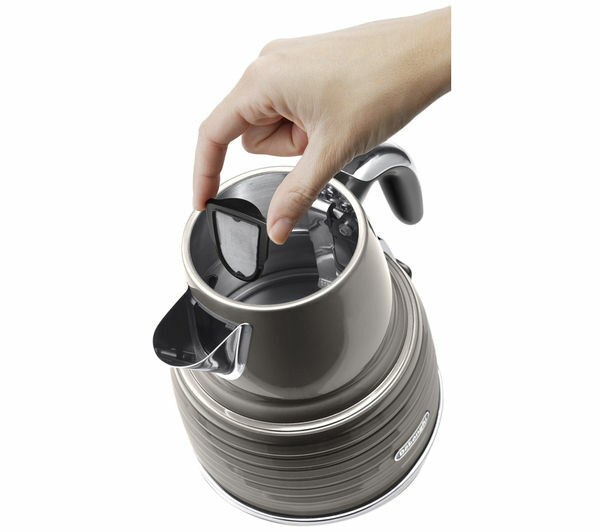 An anti-limescale filter is built into the kettle and prevents limescale build-up from ruining both your kettle and your beverages. Capable of boiling up to 1.5 litres of water at a time, ensure you're always able to brew up a quick cup of tea when the situation demands, with the champagne De'Longhi Scultura KBZ3001 BK Jug Kettle.